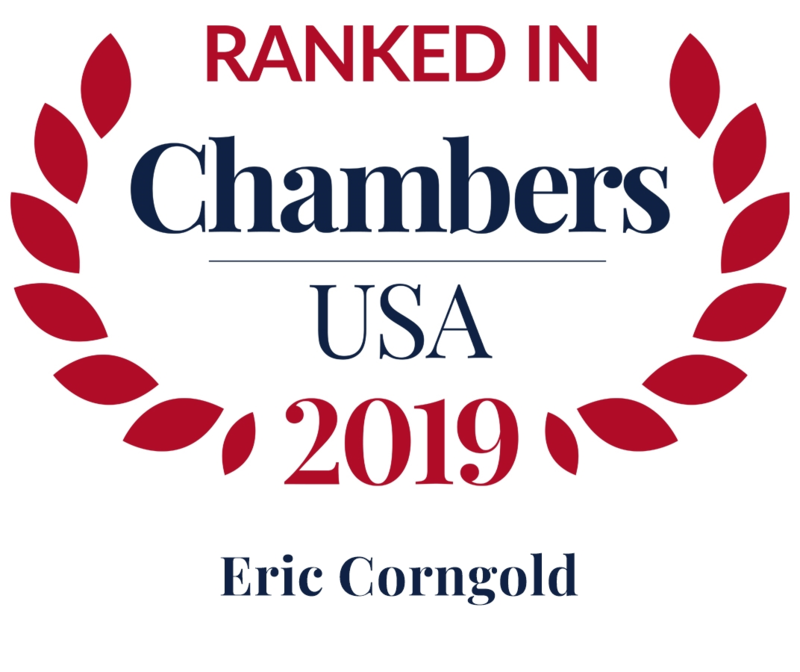 Eric Corngold, the head of Friedman Kaplan’s white collar department, is well known for his work in white collar criminal defense and investigations. Prior to joining Friedman Kaplan, Mr. Corngold built a tremendous reputation as a public prosecutor in New York. Today, he puts the insight into the enforcement perspective that he gained through twenty-five years of public service to work representing businesses, their executives, and their employees during federal and state criminal investigations, as well as in regulatory matters involving the Securities and Exchange Commission and other federal and state government agencies. He also conducts internal investigations for corporations and other institutions on behalf of officers, boards of directors, and audit committees. Because of the nature of Mr. Corngold’s work, many of his most successful matters have not resulted in public charges and remain confidential. Representation of Chuck Blazer, the founder of organized American soccer, relating to FIFA, the international soccer organization, in connection with investigations by the FBI, DOJ, and IRS. Representation of a multinational food corporation in connection with an ongoing investigation by the New York Attorney General. Representation of the Board of Directors of a company that is the subject of a multilayer investigation being conducted by the DOJ and the SEC. Representation of the Executive Director of the New York Port Authority as a major witness in the high-profile “Bridgegate” scandal, a four-day traffic shutdown that caused colossal delays at the George Washington Bridge. Mr. Corngold and the firm conducted an internal investigation on behalf of the Audit Committee of a NYSE-listed consumer financial services company in connection with the Committee’s review of the company’s previously issued financial statements. Representation of the world’s largest Native American tobacco manufacturer in connection with ongoing litigation brought by the New York Attorney General in federal court for various alleged statutory violations. This matter addresses important, unsettled constitutional issues regarding Native American sovereignty. Representation of a major biopharmaceutical company in connection with a large criminal and civil investigation being conducted by the U.S. Attorney for the Eastern District of New York into the company's marketing of an anemia drug. Mr. Corngold served as New York State's Executive Deputy Attorney General for Economic Justice from 2007 to 2009, acting as the principal advisor to the New York Attorney General on litigation and policy concerning financial markets, antitrust matters, corporate and consumer fraud, and housing. 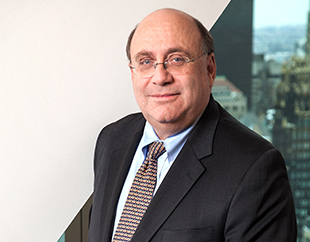 In this role, he led broad-ranging initiatives including the office’s auction rate securities investigation, which resulted in settlements with eleven major international financial institutions, returning more than $51 billion to investors and resulting in over $597 million in fines, and the office’s civil action against Intel Corporation, the largest government antitrust case brought in the last decade. Prior to his time in the New York Attorney General's Office, Mr. Corngold was an Assistant United States Attorney in the Eastern District of New York for more than a decade, where he served as the office's Chief Assistant United States Attorney from 2005 to 2007, and the Chief of the office's Business and Securities Frauds Unit from 1999 to 2005. Mr. Corngold frequently lectures on white collar crime, securities law, and criminal procedure topics, and is currently an adjunct Professor of Law at St. John's University School of Law, where he teaches that school's course on White Collar Crime. He is a member of the Board of Trustees of SUNY, New York State’s network of public universities, universities, and serves as the chair of the Board’s Academic Medical Centers/Hospitals Committee and as a member of the Board’s Audit Committee. Mr. Corngold was twice nominated (in 2016 and 2017) to serve on New York’s Court of Appeals. NexGen White-Collar: Where are the Law, Business and Ethics Headed?